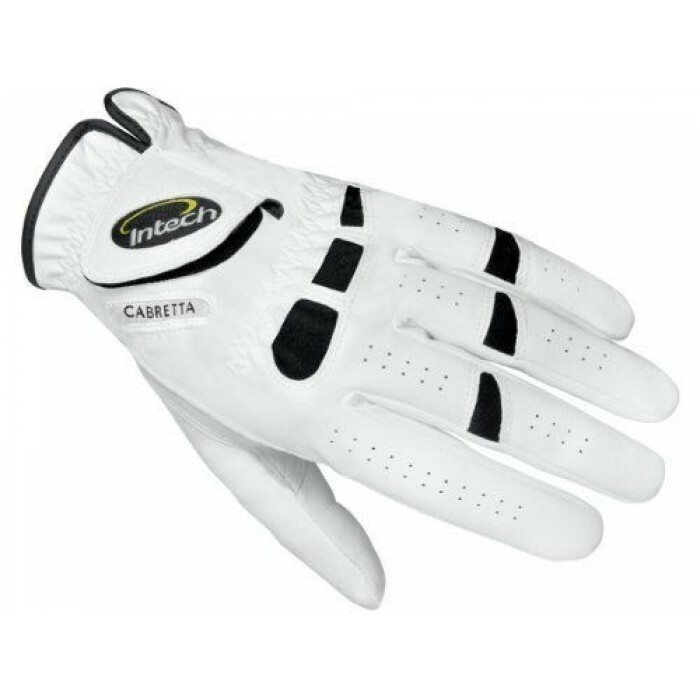 INTECH CABRETTA LEATHER GOLF GLOVES: FOR MEN WHO GOLF RIGHT HANDED (glove fits on the Left hand). ONLY $4.50 SHIPPING COST TO ANYWHERE IN THE USA NO MATTER HOW MANY GLOVES YOU ORDER!!! ...... WE SHIP MOST ORDERS WITHIN 24 HOURS... When you add gloves to any order there is no additional shipping cost for the gloves! 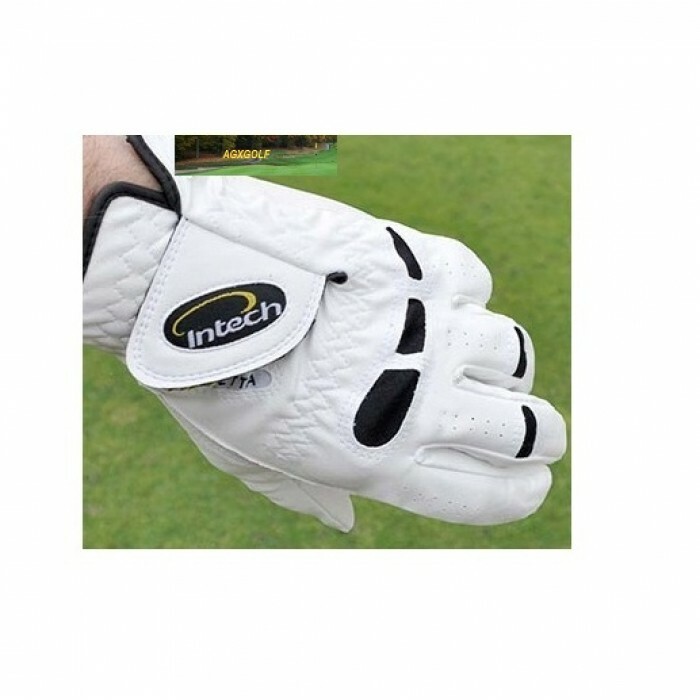 The INTECH glove is made from Premium Imported "stay-soft" Cabretta leather. Reinforced palm for better gripping and longer life! Reinforced with TITANIUM for a STRONGER material with more gripping power (especially in wet weather)! The INTECH glove also features Lycra" inserts as well as synthetic backing for optimum fit and comfort. The flexible inserts also increases the life of the gloves by minimizing any stretching or tearing of the leather. STATED SHIPPING COST for the U.S.A only. Other destinations: PLEASE CONTACT US. Shipping will be billed at our actual shipping cost.